Georg Brandt became the first named person in history to discover a new metal when he deduced that the color of a blue pigment used in glass making came from a previously unidentified metal – cobalt. Brandt was one of the first scientists to condemn alchemy and he publicly demonstrated how dishonest alchemists tricked people into thinking they had seen gold made. Georg Brandt was born in the small, widely scattered township of Riddarhyttan in Sweden on June 26, 1694. Georg Brandt’s parents were Jürgen Brandt and Catharina Ysing. Both parents came from prosperous backgrounds – his father had once run a successful pharmacy in Stockholm, Sweden’s capital city, and his mother’s family were timber mill owners. Catharina married at the age of 19. She was 27 years younger than Jürgen and was his third wife. The couple had three children, one of whom was Georg. In the year of Georg’s birth the science of chemistry was still in its infancy. Seven years earlier Isaac Newton had published a book that transformed our understanding of the physical world – Principia. Yet Newton was an alchemist – indeed he spent more time on alchemy than he did making his momentous discoveries in physics and mathematics. Three years before Georg’s birth Robert Boyle, the man largely responsible for formulating the new science of chemistry, died. And although Boyle had denounced some of the sillier, mystical aspects of alchemy, he remained a confirmed alchemist all his life. He sought to discover the philosophers’ stone and he believed elements could be transmuted. Georg Brandt’s father, Jürgen, was interested in metals and chemicals. He bought a copper smelter in Riddarhyttan four years before Georg’s birth. While Georg was growing up, his father operated the copper smelter, copper mines, and an ironworks. So Georg grew up in an environment where metals, minerals, ores, and chemicals were important. His father gave him chemistry lessons and Georg became very knowledgeable about the subject from both a pharmaceutical and a minerals perspective. In 1705, aged 11, Georg Brandt began classes at the University of Uppsala. In 1714, aged 20, Brandt began working for the government’s Bureau of Mines. At this time he was taught by Anders Gabriel Duhre, who was a highly respected mathematician, but a rather poor teacher. In 1718, aged 24, Brandt edited Duhre’s mathematics lectures for publication. Brandt prefaced them with a rather long essay of his own about chemistry. In the same way as Robert Boyle was influenced by Galileo to put chemistry on a more mathematical footing, it was clear that Brandt was influenced in the same way by Isaac Newton. Brandt stated boldly that chemistry was a flawed science. Compared with a true science, such as geometry, chemistry was just pseudo-knowledge: chemistry needed a proper foundation, such as Euclid’s axioms in geometry. Brandt said chemistry had largely been the work of charlatans furthering their own ambitions without any valid theory to build knowledge upon. Chemistry needed axioms upon which it could build solid theoretical foundations. Although Brandt was unable to develop axioms himself, his future work in chemistry was founded upon scientific principles rather than on the mysticism and flights of fancy he had condemned. In 1721 Brandt was awarded a travel grant by the Bureau of Mines. He told them he was going to carry out research on mines in other European countries. Instead he used his grant plus an allowance from his father to enroll at the highly prestigious University of Leiden in the Netherlands to study chemistry and physics. There he attended chemistry classes given by the famous Dutch physician Herman Boerhaave, who taught a thoroughly practical, non-mystical chemistry that Robert Boyle would have approved of and Georg Brandt admired. After three years in Leiden, Brandt moved to the University of Reims in France where, in 1726, aged 32, he was awarded a doctorate in medicine. The Swedish Bureau of Mines forgave Brandt the deception he had practiced. He took over the day-to-day running of their Stockholm laboratories in 1727. He was made Guardian of the Mint in 1730, which provided him with better laboratory facilities. Most of his work involved checking the purity of metals and analyzing the composition of minerals. He began publishing reports about the materials he was analyzing, with accounts of investigations of gold and mercury in 1731, and then groundbreaking research into arsenic compounds and alloys in 1733. It turned out that it wasn’t goblins that stopped miners extracting copper from kobald. It was the fact there was no copper to extract. The metal present was a new one – cobalt – discovered in 1735 by Georg Brandt. In 1735 Brandt wrote Dissertatio de Semi-Metallis, in which he said he believed he had discovered a new chemical element, a semi-metal, which he named cobalt. Today we class cobalt as a transition metal. Brandt discovered the new metal in an ore German miners called kobold. 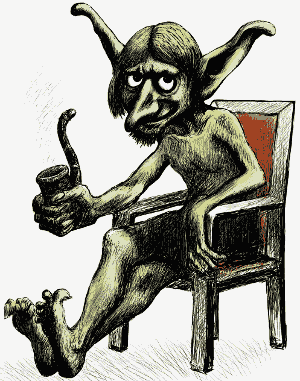 The element name cobalt comes from the German ‘kobold’ meaning goblin. The reason for the unusual name is that the ore resembled a copper ore, but no copper could be extracted from it, so the miners believed a goblin or spirit had cast a spell on the mineral to prevent copper’s extraction. 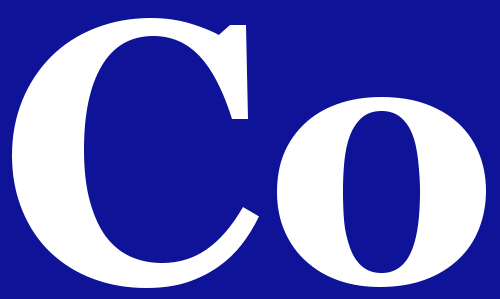 Cobalt was the first metallic element to be discovered by a person to whom the discovery could be credited. Brandt’s Dissertatio de Semi-Metallis was not published until 1739, so it was only in this year that most other scientists became aware of the discovery. At this stage in the history of science very few chemical elements and been identified. Brandt’s announcement was rather controversial. It took a number of years before cobalt’s existence was generally accepted. The presence of cobalt gives glass an intense blue color. The ancients had been aware of seven metals: copper, gold, iron, lead, mercury, silver, and tin. Additionally, the existence of four ‘semi-metals’ had also been implied by the behavior of their compounds. These semi-metals were antimony, arsenic, bismuth, and zinc. 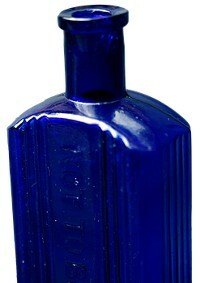 In Brandt’s time, when people added a blue pigment to glass, they believed they were adding a bismuth-based mineral. Brandt showed that the blue color in glass did not come from bismuth, but from an entirely new ‘semi-metal’ element: cobalt. He demonstrated clear differences in the behavior of cobalt and bismuth. By 1742 Brandt had isolated metallic cobalt. He discovered that, like iron, cobalt is ferromagnetic and also that it forms alloys with iron, tin, copper, gold, and antimony. Although some of his contemporaries believed Brandt had a lingering sympathy for alchemy, his own private notes suggest otherwise. He kept alchemical literature as a reference for the extensive experimental techniques alchemists had developed rather than a belief in alchemy itself. In 1748 he appeared before the Royal Swedish Academy of Sciences to show them how alchemists tricked unwitting donors into believing they could create gold. First he dissolved gold in hot nitric acid which had been prepared from sodium nitrate and sulfuric acid – probably sulfuric acid was still present in the solution. Second he added silver to the solution and everyone saw that gold precipitated out of the solution. His audience realized that if they had seen only the second part of the demonstration they could have been tricked into thinking Brandt had transmuted silver into gold. In 1734, at age 40, Brandt married Anna Maria Norn, the 20-year-old daughter of a merchant. They had one daughter, Catharina Elisabet, born in 1735. In later life Catharina Elisabet married Samuel Sandel and one of their children, Brandt’s grandson, was Johan August Sandels, who became a Field Marshal in the Swedish Army. Brandt was a man who liked a simple life; he was a man of few words who enjoyed his own company. Nevertheless, he gathered around him a loyal group of younger chemists at the Bureau including Axel Cronstedt, who discovered nickel in 1751. Brandt taught chemistry at the Bureau and never become a university professor. In Brandt’s later years he was regarded as one of Sweden’s greatest scientists and elected to the Royal Swedish Academy of Sciences. This was an exciting time for Swedish science, with the chemistry of Georg Brandt, the natural history of Carl Linneus, and the physical science of Anders Celsius. Georg Brandt died of cancer in Stockholm on April 29, 1768, aged 73. "Georg Brandt." Famous Scientists. famousscientists.org. 31 May. 2016. Web. Discovery of the Elements, Sixth Ed.